"Come Out Fighting!" 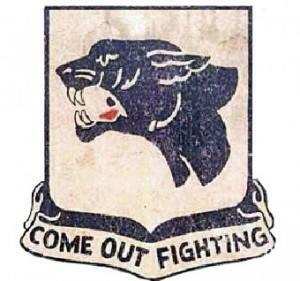 - Official Motto of 761st Tank Battalion. 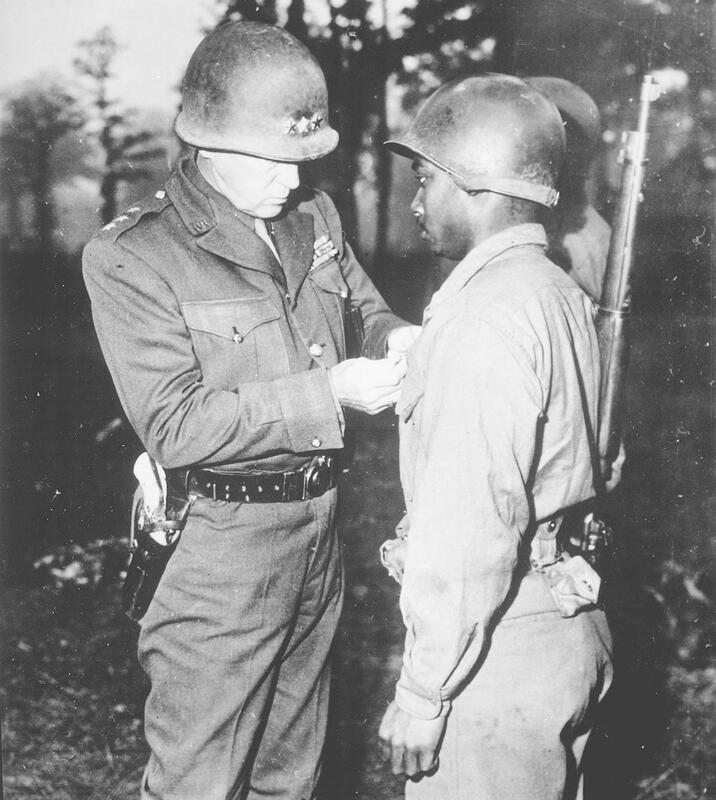 In the early days of America’s entry into World War II, race relations in the United States were strained. This was a tumultuous period during which 1.5 million Americans, including large numbers of Blacks left southern states in pursuit of opportunities and jobs in the northern United States. Not surprisingly, the influx of southern Blacks to northern cities resulted in, among other things, racial tensions and housing shortages. In the midst of this strife, many advances in race relations and social equality were made. Benjamin O. Davis became the first African-American General in the United States Army. At this point and time, the M4 Sherman tank was considered a match for Germany’s mass produced and widely deployed Mark IV Panzer. “They gave a good first impression, but I have no faith in the inherent fighting ability of the race." "Individually they were good soldiers, but I expressed my belief at the time, and have never found the necessity of changing it, that a colored soldier cannot think fast enough to fight in armor." 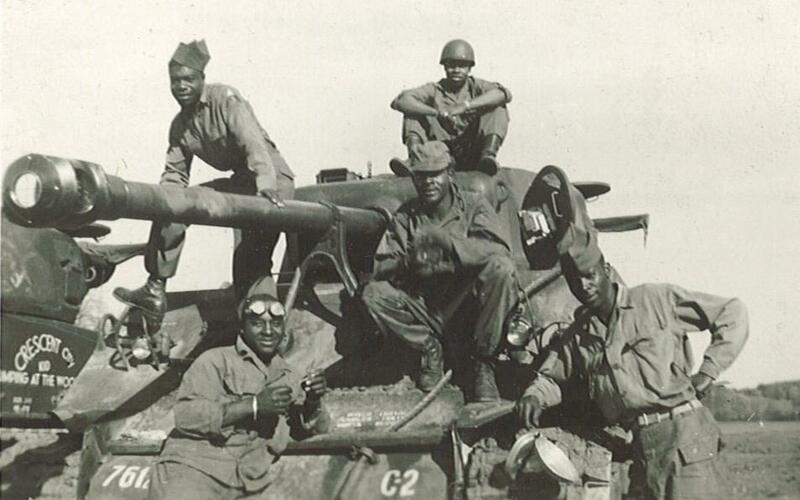 “on the one hand he could and did admire the toughness and courage"
of Black soldiers hinting that Patton’s reservations regarding Black soldiers was merely a reflection of the prevailing social conditions and no a belief that Black soldiers were inherently inferior. There is merit to this position given that General Patton handpicked the 761st Tank Battalion to spearhead his mission to rescue the 101st Airborne Division during the Battle of the Bulge. In the early morning hours of December 16, 1944 Germany launched a desperate counter offensive in a bid to turn the tide of war. More than 200,000 German troops and 1000 tanks attacked along a 75-mile wide area of the front lines in Belgium. The thrust of the attack was through dense Ardenne forest. The attack caught Allied military leaders off guards. American forces were overrun and others were encircled and had their lines of supply cut off. The ensuing fight for survival, and the subsequent relief effort, would become known as The Battle of the Bulge. Supreme Allied commander, Gen. Dwight D. Eisenhower, ordered General George Patton’s 3rd Army to pivot, turn north, attack the German’s flank in effort to rescue the trapped United States Army 101st Airborne Division. “...they were proud to have served under a general widely considered one of the most brilliant and feared Allied military leaders of World War II." The battlefield accomplishments of the 761st Tank Battalion are extraordinary given the technological superiority of German armor. By the time the 761st arrived in Europe their M4 Sherman medium tank was largely obsolete. The 761st Tank Battalion faced Germany’s most elite, well-equipped, and battle-hardened combat units including the 13th SS Panzer Division. A new generation of heavily armored, 50-ton, German Panther V main battle tank was far superior to the M4 Sherman. This German Panther tank was equipped with the lethal, long barreled, high velocity, tank killing 75mm main gun. During the fighting in November 1944, the 761st suffered 156 casualties including 24 soldiers killed, 81 wounded, and 44 non-combat losses. The battalion earned 300 Purple Hearts. "I consider the 761st Tank Battalion to have entered combat with such conspicuous courage and success as to warrant special commendation. The speed with which they adapted themselves to the front line under most adverse weather conditions, the gallantry with which they faced some of Germany's finest troops, and the confident spirit with which they emerged from their recent engagements in the vicinity of Dieuze, Morville les Vic, and Guebling entitle them surely to consider themselves of the veteran 761st. It is with extreme gratification that the corps commander's commendation is forwarded to you. Your battalion has supported this division with great bravery under the most adverse weather and terrain conditions. You have my sincere wish that success may continue to follow your endeavors." German sabotage effort was foiled. After The Battle of the Bulge, The 761st would lead the attack that broke through German defenses allowing the U.S. 4th Army to enter Germany itself. The 761st advanced deep into Nazi Germany and made contact with Russian forces including the 1st Ukrainian Front of the Soviet Red Army. I thought, he must be the Messiah. 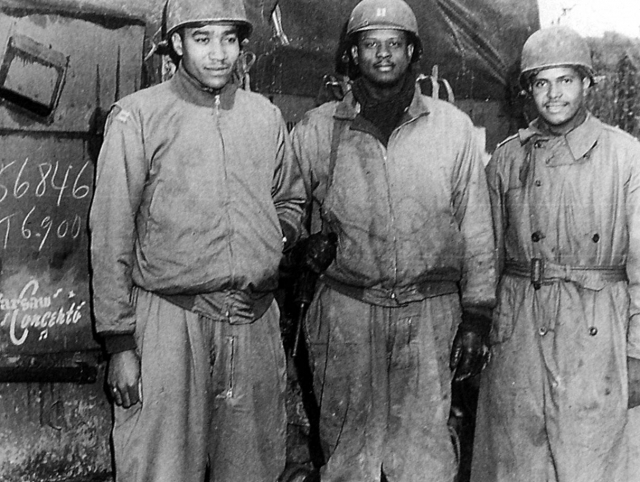 Individual medals awarded to members of the 761st “Black Panthers” included 296 Purple Hearts (8 with clusters), 11 Silver Stars, and 69 Bronze Stars. On January 24, 1978, the 761st Tank Battalion was awarded a Presidential Unit Citation by President Jimmy Carter for it’s service.